Child support disputes during divorce can bring out the worst in many parents, conjuring images of greedy ex-spouses and children who are used as pawns in games of parental posturing and revenge. While there may be a certain degree of truth to some of the stereotypes, there are many myths that are prevalent in the context of children and divorce. Myth: Child support payments must be spent on the child. Fact: No state requires child support recipients to account for expenditures or prove they were necessary to meet the child’s needs, or even whether they were spent on the children at all. Myth: I can move out of state to dodge my child support obligations. Fact: Each state has its own child support enforcement agency and these agencies all work together. You cannot escape this obligation. Myth: I can quit my job in order to avoid making child support payments. Fact: The courts are permitted to “impute” income to a parent who intentionally quits a job, whether or not that parent is currently earning a paycheck. Obligations will continue to accrue and payments must be made. Myth: I have lost my job and can’t make my child support payments, so I will be sent to jail. Fact: You can only be incarcerated if you have the ability to pay but refuse to do so. If you have lost your income and do not have the ability to pay, you will not be criminally liable for non-payment. Myth: My ex-spouse uses child support payments for shopping, dining and to support a lavish lifestyle; therefore, my support payment should be reduced. Fact: So long as the custodial parent pays expenses to feed, clothe and house the minor children, which is the ultimate purpose of child support payments, whatever else she spends money on is generally not scrutinized. Myth: My living expenses are high and I cannot afford the child support payments; therefore, my support payment should be reduced. Fact: Generally, expenses must be necessary and extreme in order to be considered as a basis for child support calculations. Myth: Child support payments are deductible on my income taxes. Fact: Child support payments are not deductible to the paying parent; nor are they considered “income” to the receiving parent. Myth: My ex-spouse claims she can modify the child support order and take my house, bank account or other assets. Fact: A future child support modification can only address the amount of child support payments going forward. Assets cannot be seized and typically are not considered in modifications of child support. 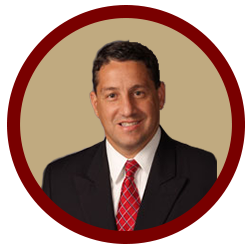 If you are going thru a Divorce in Missouri please consider hiring Kansas City Divorce Attorney Nick Cutrera.